For more information and to purchase a copy of the book, please visit PCCS BOOKS. The University of Nottingham is justly proud of its links with China. One of its two overseas campuses is at Ningbo, just outside Shanghai. Playing its part in this, the Institute of Mental Health (IMH), where I am based has been building links with China, specifically with contacts in Shanghai, for several years. So when the possibility of a visit arose, I was very keen to join the visiting group. The main purposes of our visit were to explore the possibility of the IMH contributing to an international centre for mental health in China, that would be able to provide services for expatriates living or working in China, and also to plan the agenda for a high level conference next year to review the operation of the Chinese Mental Health Law, which came into operation earlier this year (translation). England has had laws around mental health since the 19th century and the current legal framework can be traced through the 20th, with significant Mental Health Acts being passed in 1959 and 1983. These have set the framework not just for compulsory admissions but also informal care, the interface between the criminal justice system and mental health, and other issues such as consent. As a result, it is easy not to realise that many countries don’t have such laws, or rely on local regulations for their approach to mental illness. Such was the case in China until 2013. The new law not only sets out the procedure for assessment and compulsory admissions, but it also goes into quite radical territory. For example, it outlaws stigma and discrimination against people with mental disorders, it sets out a responsibility to provide rehabilitation for mental health patients, and it explicitly sets a framework for greater use of psychological treatments and the regulation of practitioners in this area. It was clear from our meetings with psychiatrists in Shanghai that the law will bring about major changes in practice. At least initially, the biggest change may be that compulsory admission can only be used if there is risk of harm to the person or others, so a proportion of patients who were admitted in the past may not choose to accept this now. Mental health provision is still very hospital orientated and although some facilities are very large – the Shanghai Mental Health Centre has 2000 beds at its two sites – nonetheless the number of beds per capita is lower than the UK. There are relatively small numbers of mental health professionals and these include a larger proportion of doctors than in the UK. An initial appointment would be about 15 minutes on average and the clinics that are held see very large numbers of patients, so medication is generally the only treatment. The Chinese government is well aware that it needs to change services for mental health. As well as this, China faces extraordinary pressure with an ageing population. The single child policy means that the balance of numbers is tilting rapidly with increasing numbers of old people, who are of course at risk of dementia. This is exacerbated by the pattern of rural to urban migration. Therefore there is much interest in different approaches to care and especially the use of appropriate technology to support older people and their families in the coming years. It won’t solve the problems of China but during my visit my colleagues and I did manage to submit a grant application for a technology related project. As these things often do, it went to the wire, and the bid was sent with less than two hours to spare. Whew! Aiming for good mental health over the long-term is an ambition we all aspire to. The title will seem odd, however, if you are aware that since 2005 chronic disease and chronic illness have been rebranded as long-term conditions (LTC) in UK health policy. With ageing populations and contemporary lifestyles linked to increased risk of developing chronic disease, finding a sustainable solution for providing good quality healthcare is a global priority. Chronic disease is the world’s largest killer, causing more deaths than any other causes combined (WHO, 2011). By definition they are progressive and incurable, and having one chronic disease raises the risk of developing co-morbidities. It is estimated that between 25-30 percent of people with a chronic disease also suffer from depression, increasing the complexity of treatment options. The change in terms comes with a change in attitude to chronic disease. It may be treatable but because it’s not yet curable, it is a lifelong condition to be managed. The question of who manages it has also undergone some change, and these days the aim is to get people to take ownership of their illness and to accept responsibility for managing it. Policy guidelines advocating self-management of chronic disease may seem counter-intuitive, unrealistic, even irresponsible, as it seems likely to compromise health if access to formal healthcare services is reduced. The last bullet-point refers to the ‘house of care’ model (McShane, 2013), which uses a familiar object to communicate the unfamiliar. At the heart of the house ‘lives’ personalised care planning, with commissioning of services at the base, the coordinated services as the roof, and the opposing walls are made up of engaged, self-managing patients, and supportive healthcare practitioners (Coulter, 2013). The overriding message is that these pieces hang together, but I’m not sure if the metaphor brings us any closer to understanding patient-centred care or how to achieve it. Undoubtedly the administrative purpose of the Health Committee meeting is to agree on a way forward: once we know what ‘it’ is, we can decide whether we want ‘it’, and whether we can afford to support ‘it’. One of the problems with the current search for clarity is the way it is meant to apply to decisions about programme affordability. Baroness Young, of Diabetes UK, described the difficulty of measuring long-term returns from diabetes patient education. Baroness Young lays blame for the barriers to adopting evidence-based patient education on commissioners’ obsession with neat financial traceability — cash flowing out of one account to pay for patient education and cash flowing in to the same account from savings due to reduced healthcare utilisation. She suggests a pooled budget may be the solution. Would such a change improve the current decision-making model’s myopia? Would it be better at measuring longer-term benefits, or attributing positive spillover effects to the relevant programmes? An example of spillover is improvements in the quality of care provided by healthcare practitioners as a result of patient education provision. This was one of the findings from an ESRC-funded study (Go Jefferies, 2012) that explored the extent that healthcare practitioners accepted the self-management approach to diabetes care. The study found that healthcare practitioners delivering the 6-week X-PERT Programme to patients had unexpected benefits. Healthcare practitioners who are also qualified self-management Educators (n=11) suggest that the training to become a qualified X-PERT Educator surprised them by how little they knew about diabetes care, and provided them with important new knowledge and skills outside of their normal specialism. The X-PERT based knowledge and skills were also perceived to improve their support of diabetes patients in their regular clinical roles through adoption of the X-PERT approach and educational materials to regular clinical practice. This increased access to X-PERT principles to those patients who did not attend the full programme. The Educators expressed satisfaction not only in being more effective at communicating complex diabetes information to patients in a logical way, and which allowed patients the time they needed for the ‘mists [to clear]’ about what diabetes is. Participants also expressed relief from professional anxiety about shifting responsibility for diabetes care onto patients because they were able to have more sophisticated conversations with post-X-PERT patients, as they believed patients were more able to make informed decisions about personal care plans. Furthermore, the study showed that because delivering X-PERT to Type 2 diabetes patients at diagnosis is a deviation from standard diabetes care pathways, the delivery of up-to-date knowledge and advice before the onset of complications was seen as reducing patients’ exposure to potentially harmful poor advice that participants assumed came from non-diabetes specialists in patients’ regular primary care teams. 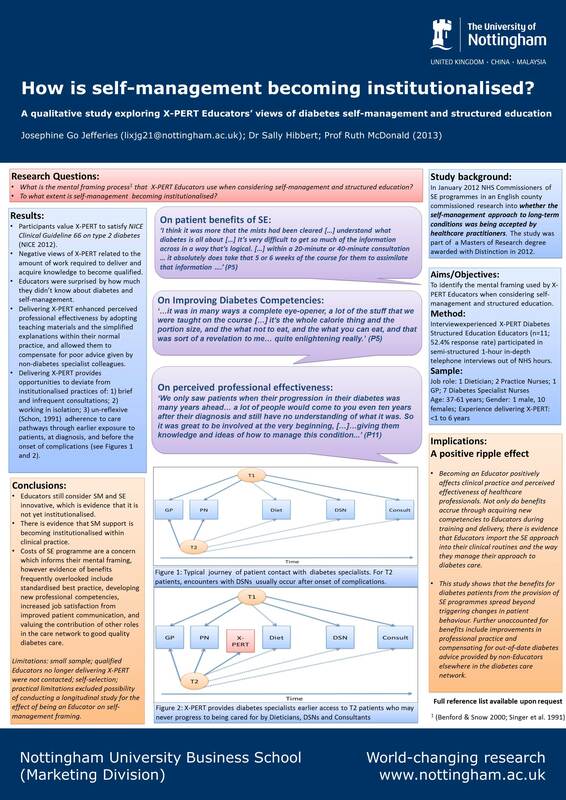 Recognition of improvements to their own diabetes understanding had positive effects on Educators’ perceived professional effectiveness to help patients according to best practice. Employee satisfaction has spillover effects on customer interactions (Bowen et al., 1999). Such spillover effects are evident as positive mental health effects perceived by healthcare practitioners who deliver self-management training programmes to patients. Therefore the good mental health of healthcare practitioners is likely to have positive effects on patient interactions. Josephine Go Jefferies (lixjg21@nottingham.ac.uk) is an ESRC Doctoral Researcher at Nottingham University Business School (Marketing Division) at the University of Nottingham. She is currently studying patient experiences of telehealth for the self-management of chronic disease. Open source software refers to software whose code is available for anybody to view, revise and reuse. This should be contrasted with closed or proprietary code which is known only to the manufacturer, and who will often charge a fee for individuals to use the software (for example, Microsoft Word, or Adobe Photoshop). There are many types of open source licence but the principle of viewing, revising, and reusing underpins them all. On the face of it, this does not seem like a very exciting proposition, and newcomers to the concept often wonder what difference such an apparently obscure part of software licensing could make. However, because open source software (often, although not always, available at no cost, and referred to as Free and Open Source Software or FOSS) can be modified by anybody it offers a number of advantages over traditional proprietary software. Firstly, FOSS is free. I’m writing this blog post on a computer which contains absolutely no software of any kind that costs any money whatsoever. I shall repost it on my self-hosted blog which runs on a server which itself contains no software of any kind that costs any money whatsover. In a time of austerity, the availability of free software that can perform all the tasks of paid software should be a deafening clarion call across the public sector. And indeed FOSS is starting eto gain traction in education and health. However, not only this, but FOSS is often better than its paid counterpart. This is because anybody can change and improve it, and whole communities exist around popular tools, adding new features and fixing bugs continuously with everyone inside and outside of the community benefiting. The FOSS operating system Linux basically runs the internet. The closed source Microsoft Excel, notoriously, features bugs that Microsoft can’t or won’t fix (e.g. here and here). Even the US Military are making ever larger use of open source software. 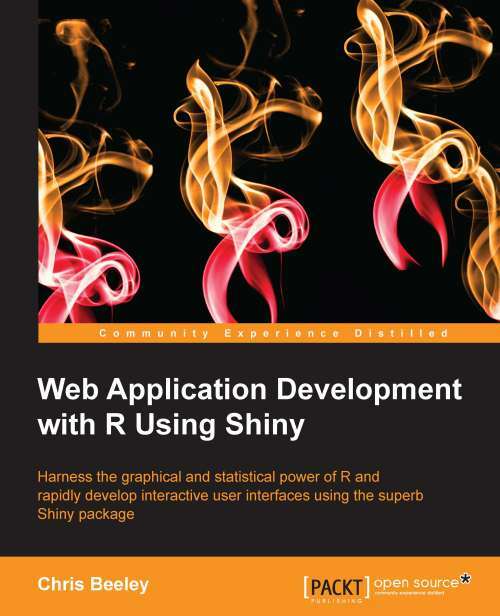 The statistical programming language R is another success story from the FOSS world. Precisely because it is free and open source, a huge community of statisticians, programmers, data visualisers and analysts all contribute to its development. 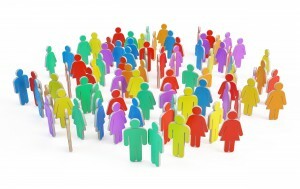 At the time of writing there are nearly 5000 user contributed packages within R, which help users with tasks as diverse as computational chemistry and physics, finance, clinical trials, medical imaging, psychometrics, machine learning, statistical methods, and the production of extremely powerful and flexible statistical graphics. R is rapidly becoming the lingua franca of analytics and is widely used in many leading data science departments, perhaps most notably Google. I have made extensive use of R in my work on Nottinghamshire Healthcare NHS Trust’s new patient feedback site, using R to serve both static quarterly reports as well as interactive, searchable analysis of all of our feedback past and present. The searchable reports are made possible by the Shiny package which makes it ridiculously easy to allow users to interact with a dataset. Shiny handles all of the hard work involved in programming a graphical user interface and lets analysts such as myself concentrate on the content of what is delivered to the user. Although Shiny is never going to replace other methods of programming for very large, fully featured analytics platforms (for example, Google Analytics) it has certainly proved its worth on the patient feedback website and I would hope that R and Shiny would find more and more use in NHS settings up and down the country to allow Trusts to better communicate their data to the communities and service users whom they serve. There are some demonstrations of what can be done with Shiny on my website, some are little examples I wrote just for the book but some are more fully featured than that and hopefully demonstrate some of the things which can be achieved using Shiny. Over the next 10 years I hope to see more and more use of FOSS, not only for the Free, but also for the Awesome. Originally posted on The Mental Health Elf on 7 November 2013. Herbal medicines often represent a cheaper alternative, or a low-cost complement, to standard pharmacotherapy. As a result, improved cost-effectiveness is often touted as a likely benefit of the use of complementary and alternative medicine (CAM). Many, myself included, have been openly critical of CAM research,Herbal medicines often represent a cheaper alternative, or a low-cost complement, to standard pharmacotherapy. As a result, improved cost-effectiveness is often touted as a likely benefit of the use of complementary and alternative medicine (CAM). Many, myself included, have been openly critical of CAM research, while others have suggested ways in which CAM research could be improved. As with studies of efficacy and effectiveness, there is a lack of good quality evidence regarding the cost-effectiveness of CAM-based interventions. 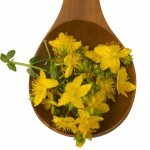 St. John’s wort (SJW) is a herbal medicine, most widely associated with the treatment of depression. Millions use it in the UK. A Cochrane review of its use for major depression has found it to be superior to placebo (Linde et al, 2008); a credential that few CAM treatments can claim. However, there remains a lack of evidence regarding the cost-effectiveness of the intervention. A recent study by Solomon, Adams and Graves, published in the Journal of Affective Disorders (Solomon et al, 2013), attempts to begin filling the gap. We thought it well worth the elves having a look at this study and exploring the cost-effectiveness of St. John’s wort for the treatment of depression. The study carries out a model-based economic evaluation of St. John’s wort compared with antidepressants for the treatment of acute mild to moderate depression. This approach synthesises data from different sources to answer questions about cost-effectiveness that have not previously been answered by prospective trials. The study employs a Markov model, which requires that patients can be defined as being in one of a finite number of ‘states’, and that the probability of transition from one state to another is constant across all individuals within that state, regardless of their history. In this study the authors define 3 possible health states – depressive episode, response and remission – as shown in Fig. 1. The model evaluates 3 possible courses of treatment; SJW, venlafaxine or sertraline. Each of these is associated with different probabilities of transition between the depression states and different costs. The cost of SJW, venlafaxine and sertraline is 0.70, 1.35 and 0.75 $AUS per day respectively, and costs are estimated from the perspective of the national health provider. The primary outcome is quality adjusted life years (QALYs), which are defined by the model states and are assumed constant across the treatment arms. 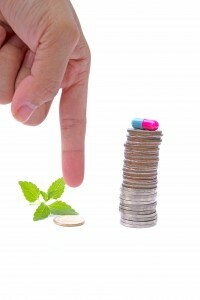 The comparative benefit of treatment is defined by response rates, remission rates, relapse rates and adverse effects. Though the study is reasonably well reported it has a number of limitations. It’s possible that the study used some inappropriate data for its parameters. For example, response rates for venlafaxine are taken from a review including patients with mainly severe major depression, while the response rate for SJW appears to be based on an unpublished meta-analysis. Some assumptions also work in favour of SJW. For example, patients that discontinue then recommence treatment are assumed to require extended consultations with their GP, increasing the incremental cost of antidepressants. The design of the model also appears to be flawed. 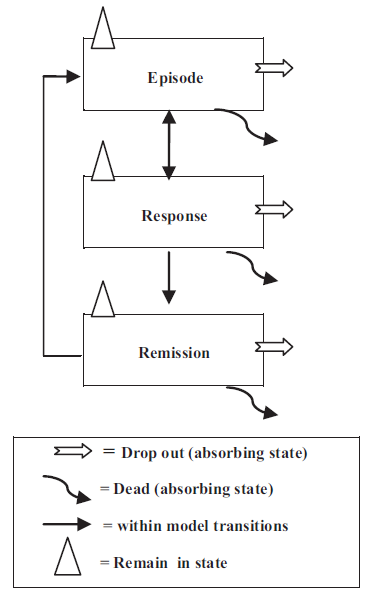 Individuals are allowed to ‘leave’ the model, in which case they become unobserved, and this could significantly bias the results. Furthermore, the model does not consider all possible treatment options. If we take a look at the NICE guidelines for depression, for example, we’ll see important roles for psychotherapy and cognitive behavioural therapy, as well as many alternative SSRIs and other classes of antidepressants. NICE guidelines do not explicitly recommend venlafaxine or sertraline. It’s also worth mentioning that the study received funding from the Complementary Healthcare Council of Australia. Unfortunately this study is unable to identify, with any confidence, the likely incremental cost differences associated with the use of SJW. This is due in large part to the availability of data; the predictive validity of a model is wholly dependent on the availability of good data. While we know that the direct cost of SJW is lower than that for traditional antidepressants, there are no data available regarding the possible indirect costs of SJW. As such, the model must depend on inferences and assumptions about service use. These questions can only be answered by a prospective trial-based cost-effectiveness analysis. It is reasonable to expect that the model used in this study, employing different assumptions, could produce entirely contradictory results. This is because the model is not comprehensive. Not only are there many other antidepressants aside from the two considered here, and non-pharmaceutical therapies, but there is also a wide array of SJW products. There are also many other relevant service use parameters that could have been included, such as inpatient care or contacts with community mental health teams, which could substantially alter the results. Though no model can ever be definitive or entirely depended upon for policy decisions, there remains scope for a more comprehensive modelling study of the cost-effectiveness of SJW compared with alternative lines of treatment. Such a model would be greatly enhanced by a prospective trial of the cost-effectiveness of SJW, which could thoroughly capture the direct and indirect costs of treatment. Hopefully this is something on which the elves can report in the future. Linde K, Berner MM, Kriston L. St John’s wort for major depression. Cochrane Database of Systematic Reviews 2008, Issue 4. Art. No. : CD000448. DOI: 10.1002/14651858.CD000448.pub3. Depression in adults. NICE Clinical Guideline 90. National Institute for Health and Clinical Excellence, 2009. Tomes, C. CAM: Many of us are using it, despite poor evidence. Whats going on? The Mental Elf, 10 Oct 2013. Chris is a health economist at the University of Nottingham, currently based at the Institute of Mental Health. He is also the founder of The Academic Health Economists’ Blog. ‘Art in the Asylum: creativity and the evolution of psychiatry’, is curated by Dr Victoria Tischler and Dr Esra Plumer, and presented in the Djanogly Art Gallery, Lakeside Arts Centre, University Park until the 7th November. This exhibition is a richly rewarding experience on two levels. Firstly, the viewer is offered each work in its own particular chronological and spatial context. The exhibition includes a diverse range of material, including pieces from artists whose work is produced within the influence of continental psychiatry and work representing the earliest asylum art from Scottish institutions. As this exhibition unfolds in front of us, we are witnessing the evolution of over 100 years of artistic activity in British psychiatric institutions, spanning from the 1800s to the 1970s. But the exhibition is an enriching experience on another level. Woven into the historical and comparative narrative are the voices of each individual artist. As you walk through the exhibition space, you become aware of the clamouring of these voices. Voices which, paradoxically, can only truly make their experience understood through visual means. The content of each piece is part of an intensely personal journey made by an individual struggling to maintain, or explore, their sense of identity in the face of mental illness. Much of this work is locked to this internal focus; the artist is overwhelmed by the need to relate an internalized experience. But for some of the artist-inmates the opportunity to ‘make’ art in the asylum is an opportunity to become political, to set their experience in a socio-political framework. 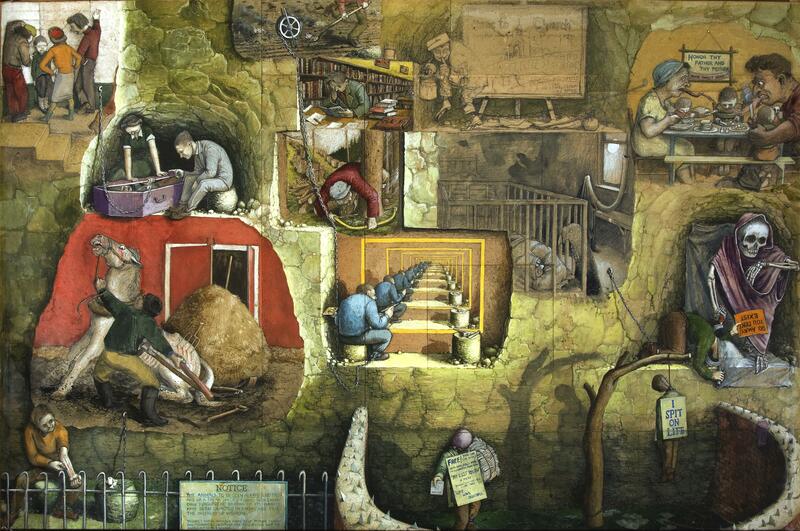 One work which uses this socio-political framework is ‘I spit on Life’ by William Kurelek. William Kurelek. I spit on life. Courtesy of Adamson Collection, (c) Kurelek estate, Wynick/Tuck gallery. 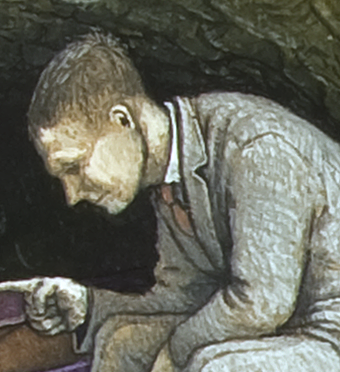 In creating ‘I Spit on Life’ , the poster image for this exhibition, William Kurelek shows us, in a powerful series of illustrative vignettes, that the inmates of our asylums, the recipients of our ‘care’, can take the initiative in the dialogue between the ‘individual ’ and the ‘system’. My own research is particularly concerned with the changing relationship between the client and the expert practitioner within the social institutions of education and health. I am exploring the possibility that in our post industrial world the locus of authority is shifting from the practitioner, the system, to the client, the individual. For me, Kurelek’s work is not only important for its expression of his personal experience but in the way it makes explicit that, in the words of Shulamith Firestone: ‘the personal is political’. Kurelek describes his experiences not only for us to comprehend his personal distress but for us to regard, and to judge, the ‘political’, the ‘system’, in action. There is a theatrical and dynamic sense about Kurelek’s work which transforms us from passive viewers into an engaged audience. Among the series of vignettes which make up this work there are two which I find are particularly powerful representations of this effect. They concern his experiences in the institutions of education and of health. In Image 2, Hospital, the patient is receiving a lecture from a psychiatrist. We see the unconcerned nurse, sitting in an almost languid pose on the coffin lid, but using her body weight to push it down on the patient while the psychiatrist, seemingly without any reaction to the horrific scene in front of him, continues to expound some theory, or perhaps offer some advice. We suspect that the psychiatrist’s theories and his advice are not relevant to the man peeping out in horror from his institutional coffin. The lid is about to close and we feel the urge to step in, lift the lid and free the man trapped underneath it. The action we would bring to this scene is based on our common humanity, a sense of outrage at what is happening. Kurelek cleverly engages our sympathies with the terrified ‘patient’, who is the only figure in this vignette showing a ‘normal’ emotional response to the event. By default, those showing no emotion, the institutionalised professionals, must be the abnormal ones. William Kurelek. I spit on life. Image 2. Hospital. Courtesy of Adamson Collection, (c) Kurelek estate, Wynick/Tuck gallery. Thus Kurelek persuades us of the efficacy of his argument; institutions desensitize individual practitioners until they no longer respond with recognizable humanity in the face of the suffering of their ‘clients’. This, of course, is the very argument that has led the political debate in the last few years over the training and behaviour of our expert practitioners in Health and Education. The student cramming knowledge in a library (Image 4 Student Days), gives an equally damning picture of the institution of higher education. The student is alone, holding his head in his hands, and behind him stretches a vast empty corridor of books. We sense his desperation. He must learn, and learn at the pace dictated by the institution, some examination of which he is taking. He seems to find no pleasure in learning. The implication is that he is on his own, unsupported by the institutionalized professionals whose job it is to ‘teach’, to ‘lead’, to ‘guide’, him to academic success. William Kurelek. I spit on life. Image 4 Student Days. 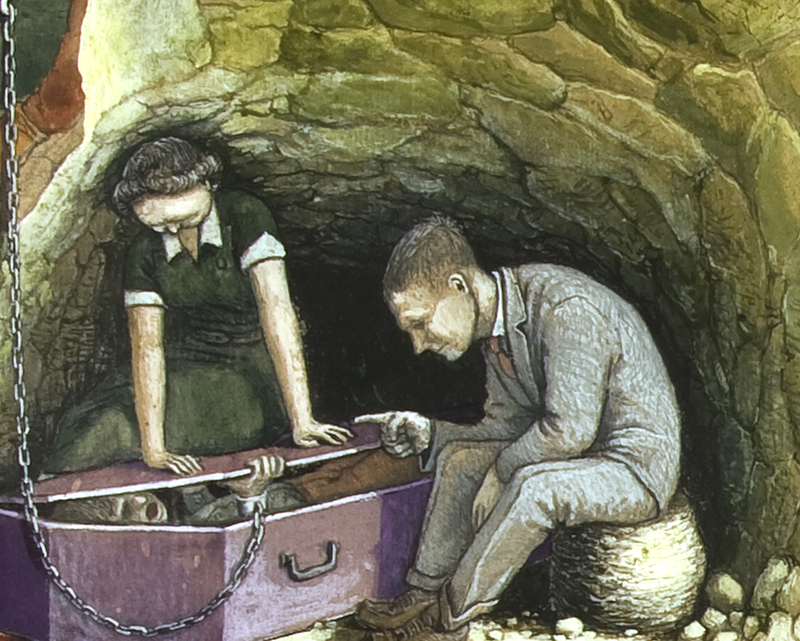 Image Courtesy of Adamson Collection, (c) Kurelek estate, Wynick/Tuck gallery. Again, Kurelek is directing his anger at the ‘professionals’, the ‘expert practitioners’, who fail to fulfill their contract of public service. But, as I reflect on my research interviews with over forty expert practitioners in Health and Education, and while accepting that we are in what has been described as a ‘crisis of service’, I find my sympathies lie as much with these expert practitioners as with their clients. These practitioners are the ‘professional class’, described by Perkin (1989) as having an ethos of service, a respect for properly adjudged qualifications and a desire to work effectively within the pursuit and use of their knowledge. As I listen to my audio transcripts I hear expert practitioners tell me that these principles are under increasing threat from a devaluing of the centrality of their expertise to the successful delivery of our ‘Public Services’. Expertise relies upon a basis of what Frank Webster (2006) called ‘theoretical knowledge… formalized in texts and transmitted through the educational process’. At the 2013 Kaleidoscope Conference in Cambridge, Stephen Ball, in reference to ‘theoretical knowledge’ spoke of the fundamental ‘job of academia’; to tell the truth. He described the effect of ESRC Impact guidelines, positing that research could no longer be seen to be an end in itself, and implying that researchers were no longer free to ‘search after the truth’. In support of that argument, it is suggested that, in university education, with the introduction of the REF ‘there is a new shift from accountability over finances to control over substance and the content of what is researched’ (Olssen 2011). After reading this, I look again at the psychiatrist in Image 2. Is he suffering from burnout? Is that passive face the expression of a man with low affect? Is he depressed? We have to ask again, although with a perceptibly altered perspective from that of Kurelek- is indeed the psychiatric patient the healthiest person in this image? 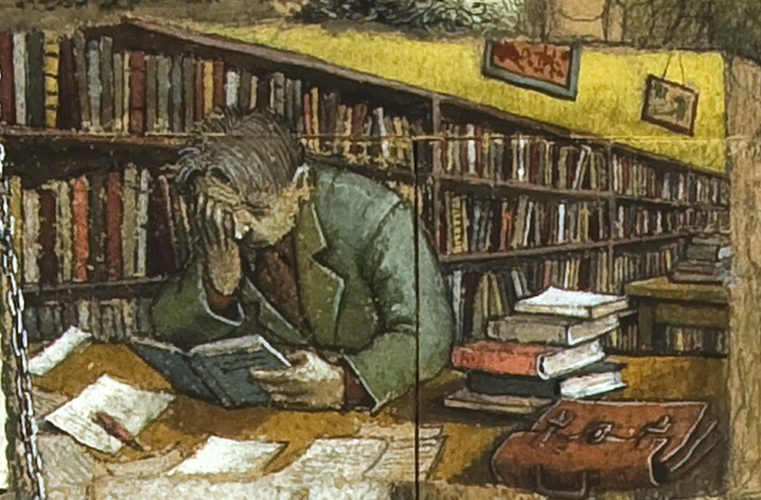 Work chosen: William Kurelek. I spit on life. Image 2 Hospital. Courtesy of Adamson Collection, (c) Kurelek estate, Wynick/Tuck gallery. Perhaps Kurelek’s powerful depiction of the ghastly failings of organized society to recognise the vulnerability of the individual could extend its franchise to include the expert practitioners who are caught up in these devalued ‘services’? Processes such as the collection of both qualitative and quantitative data on client responses to Health and Education through ‘student voice’ and ‘patient feedback’ demonstrate the increasing governmental emphasis on the importance of ‘client critique’ to assess practitioners. This client critique could extend out from its narrow focus on the perceived failings of individuals within the public services to encompass both an informed critique of the actual structure of these services and an understanding of the implication of constant change for the expert practitioner. Extending the remit of ‘client critique’ in this way could contribute to a powerful partnership between the practitioner and the informed client. The lobbying power of such a partnership would be a political force with which to be reckoned. I ask you to look back at the dark images of ‘I spit on life’ for a moment and imagine Kurelek’s images reformed into a network of such successful partnerships. Not a glossy public relations exercise in imaging the promised land but a real depiction of a functioning set of services embedded in, and supported by, the society which it serves. Something which works. The question is – how to get it?